Well folks they done it again…… For many years I have been entitled to the Warm Home Discount to help those on struggling to cover utility costs to the value of £140 off the Electric bills. Many Suppliers have different criteria with Pensioners coming first as rule of thumb. So this year I dutifully filled in my application to be told all of a sudden I wasn’t entitled when I had checked that I was. I challenged this with the supplier only to be told that it was because I was on Contributory ESA you have to be on Income Related to qualify and that the DWP had told the supplier to the contrary. Now I knew I got CB ESA plus a IR top up should have made me eligible. so I call DWP as suggested by supplier for letter of proof, that I was indeed eligible and posted it off to my supplier on arrival. Lo and Behold today I received my supplier letter stating that indeed I was entitled to it and my account will be credited in February. How many more have the DWP denied is the point because not everyone knows which type ESA they get. So folks don’t give up challenge it ! Independent Lead Researcher Mo Stewart and Author of Cash not Care has been a thorn in the side of those who came up with the biopychosocial model of disability for many years and has been relentless in her determination to bring to the attention the harm being caused to disabled people by the WCA assessment process which has instilled fear and dread amongst the disabled community. I am publishing her letter to this man in May 2017 as those in the community and beyond need to read her work and her book, about the demolition of the welfare state. This hasn’t been accidental process but one that has been designed , and even when respective governments have been told this is a flawed process governments continued to use it with deadly effectiveness. Most people will have heard of CBT therapy for helping those with mental health problems, some may have received it and felt it helpful,but for the majority with serious mental health problems this will not make a jot of difference and in some cases cause more harm. What is insidious about this is that it will be forced upon those who claim Social Security payments in helping them get back to work with their new health and work programme which is integral to Universal Credit. This is most likely going to be part of the so called ”Universal Support’ in Universal Credit where the government has target groups, and I’m sure this isn’t the worst of the many packages this government proposes to force upon those groups mentioned in my other blog ‘Universal Support’. The government in its wisdom wants to half the disability employment gap which most governments have failed to do consistently for decades. The base rate of 5% has never really changed,so it is folly for them to think so , as employers are reluctant to take on people who have mental health or other disabilities let alone the many with chronic ill health which is never catered for in any policy they dream up. Work is not a ‘cure for all ills’ as this government would like to peddle to media and swallowed by the gullible public who seem to resent our very existence until they are affected personally because of selfish desires not to pay taxes for those needing support from the state,which I hasten to add have paid their own taxes until they became mentally unwell or disabled, so are eligible to claim payment,after all that’s what NI was all about an insurance to cover you if you fell on hard times . In an ideal world it should be standard practice for disabled people to obtain work on merit if able, but it all comes back to that real issue of ‘productivity and profit’ so majority of disabled people don’t tick that box precisely because we are not as productive as our able bodied counterparts by the very nature of disability,being off sick when things are bad, hospital appointments,or regular treatment or surgery. Its a no- brainer to a rational thinking person, but we know our government don’t think like normal people, they just dream up pointless expensive schemes to waste taxpayers money to show the public they are doing something even though they have demonstrated most fail and cost more than paying benefits in the first place. Many more dark oppressive schemes are coming to light so we must be vigilant and stand up against forcing people to be so distressed that they harm or worse death to its citizens. It is not like we don’t know how many have decided to end it all over the constant pressures they are put under daily by the DWP monsters, who are out of control. Way back In 2013 I raised a letter signed by many leading campaigners and claimants against the proposal of the introduction of a prepaid benefit card proposed by IDS under a Coalition Government . Well just when they think you’re not looking it came to my attention its back on the agenda . Well it been used for a long time to administer help to asylum seekers, social care to enable carers to help the person they are caring for and is used now to help in welfare assistance cases. Well I have found research from 2016 where DWP are still talking about it and another link to show it could be planned for Universal Credit which I assume will come into Personal Budgeting Support or as many have seen in my previous blogs Universal Support with a list of target groups. So are we going to stand for this hell no. This will dictate choice and restrict what claimants can spend their money on. Previously we have had letters with signatures sent via a change petition yet they still pursue this ideological state control of those who are least able to fightback. After a tip off I found out that, the government behind the scenes and Financial Sector are pushing this idea out yet again. They seriously have not grasped the nettle that removing a claimant’s choice of how they manage their finances is potentially illegal and contravenes their human rights. Way back In 2013 I raised a letter signed by many leading campaigners and claimants against the proposal of the introduction of a prepaid benefit card proposed by IDS under a Coalition Government. Some Claimants due to their disabilities cannot manage their money and appoint a responsible person to manage them for the disabled person. Some care services have been paid this way for a while, which enables the carer to support the disabled person and allowed the cared for to limit what can be spent in the shops when they are unable to go themselves, without risking giving out passwords to a disabled persons bank accounts. They are also rolled out for asylum seekers. Well I have found research from 2016 where DWP are still talking about it and another link to show it could be planned for Universal Credit, which I assume, will come into Personal Budgeting Support. The UK makes an estimated £3 billion of transfers each year, with political rather than practical issues being the cause of the slow uptake to date – the UK government also stands to make sizeable savings by adopting the new method at a time of tight public spending. Currently 200 public sector programmes across local authorities, National Health Service organisations, housing associations, social enterprises and charities are using prepaid cards to distribute payments such as central welfare disbursements. Kevin McAdam, Director of Prepaid at allpay comments: “We’re seeing much greater acceptance from the Department of Work and Pensions for the benefits prepaid cards bring to schemes such as the distribution of Universal Credit. At the same time, local authorities and housing associations are increasingly switching to prepaid to help fulfil their social care obligations. However, the push for prepaid is not solely to bring costs down and increase security. The wider goal of increasing social inclusion and preventing people from being excluded from the modern digital economy is also leading to calls for the switch from cash. People who receive government benefits in cash, who may not have access to a full current account or credit card, can often find the cost of living increased. Research shows those who are financially excluded pay a ‘Poverty Premium’ as they are unable to shop online or benefit from Direct Debit discounts. This cannot be allowed where a section of society is treated differently to everyone else, just because they are unfortunate to be needing state support. This is highlighting the ‘Nanny State’ mentality of a government out of control. UPDATED: This has cropped up time and time again this must not happen as those dependant on state support are being socially engineered to accept whatever the government feels free to do to them without redress. The 2 yr Job Rule for Disabled on Universal Credit is not True! In the last few days it has been widely reported by various bloggers that those disabled claimants claiming Universal Credit are subjected to finding a job within two years or face a 1 year sanction. This is utter fabrication and feeding many claimants fears which could potentially cause harm. So today I called Welfare Rights ,who called DWP while I remained on the phone, they denied that this information was correct and was downright alarmist and dangerous. That doesnt mean I trust DWP and have submitted a FOI too given 7 years of shenanigans. So you see folks, you can take the fear project and destroy it with Facts! As promised last night, the SKWAWKBOX has been looking further into conflicting reports from DWP insiders concerning the WRAG (work-related activity group) category into which the government, more or less arbitrarily, places some disability benefit claimants and the possibility of sanctions after a fixed period of two years under the Universal Credit (UC) system if claimants have not found work. Some activists insisted that this was part of the UC system and this was initially confirmed by long-term DWP employees. Others subsequently disputed it. The only thing all were agreed on was that the rules are ill-conceived and extremely confusing. I’ve been looking at the regulations and I can’t find anything that refers specifically to a fixed time limit in which to find employment. The ‘disabled’ argument, as I’m sure you are aware, is notorious because ultimately the Department through the provide contractors are essentially able to define who is fit or not for work. For example, a claimant maybe moved from ESA to UC on the back of a WCA [Work Capability Assessment]. The claimant may disagree with the decision but they are stuck. If they are adamant they are not fit for work, they could refuse employment in an environment they believe will affect their health. This is where the sanction process comes in – a 13wk, 26wk and 156wk sanction could apply (although similar regs existed prior to UC and the 2012 Welfare Reform Act if not as harsh or severe). In this case you’re looking at failure to apply, not accepting work or leaving on one’s own accord. Their argument is they aren’t fit, the department will still look at sanctions. The circumstances described here apply to somebody who has not been found to have Limited Capability for Work. The sanction regime is clearly arbitrary, deeply unfair and dangerous – but there is no rule mandating a fixed time-limit for a claimant to find work. I can tell you that we have received complaints from WRAG claimants about having their ESA revoked after two years. And now they are treated as JSA claimants because they are ‘fit for work but not necessarily their precious occupation(s)’. ESA cannot be revoked. It simply cannot be claimed after a claimant has been found fit for work. Previous occupations are not a consideration. That has always been the case. Sanctions have been applied because the claimant has not fulfilled their requirement to find work. The purpose of the WRAG was to enable people to return to work despite being disabled, but this component has now been removed as WRAG claimants are now treated as jobseekers. Other WRAG claimants have been booted off ESA or the sickness element of UC after a period of two years because they failed their WCA – a deliberate decision to bully them back to work. Some claimants will fail their WCA after 2 years. Others after 6 months, 12 months etc. So you see folks, you can take the fear project and destroy it with Facts! how long a claimant is given to find a job. fail to apply for work or take up an offer of work; or leave a job, without good reason. This is likely to be a very long blog and I make no apologies as this is important information we all need to get to grips with to survive. Universal Credit (UC) is slowly being rolled out across the UK for some claimants , mainly single claimants and to be continued for couples. The legacy benefits that people are currently getting will eventually become Universal Credit,which runs a live programme (with gateway conditions) and a full rollout programme (no gateway conditions)alongside each other. Advisors will need to determine which is operating in their area and inform clients and explain in full their rights and eligibility. The fact that some will get hit hard is just the scratch on surface to the vile and brutal conditions of the health & work programme which is incorporated within it. ESA Claimants in WRAG (Work Related Activity Group) will lose the £30 a week inline with JSA for new claims while others migrating will get transitional protection until they have a change circumstances,or appeal, then they will lose it. If you have a change of circumstances at present on ESA in a UC area you will be put on UC and stay on it you wont be able to go back to your legacy benefit. For those on ESA it you will continue be assessed via WCA (Work Capability Assessment ) as you are now, but support group will be required to engage with claimant commitment to continue to receive payment according to UC documents. The specialist employment programmes are likely to be part of this commitment if the work coach feels the claimant could move closer to labour market. This will be done via Health & Work Conversation with a Work Coach. Framework The claimant is supported in this regime by use of their Commitment. The claimant agrees their Commitment and is required to alert Universal Credit to any upcoming unemployment and changes of circumstance. The claimant can be sign posted to relevant support depending on their circumstances. Claimants in this regime may still need or require some support in helping them to move closer to the labour market. If this applies, flexibility exists to sign post claimants to non-funded voluntary support. Consider existing voluntary options in the local area. Support groups claimants will also be hit by losing SDP (Severe Disability Premium) which is currently £62.45 a week for single people and £124.90 for couples unless someone gets Carers Allowance to help you then the single rate will continue,providing you get middle or high rate care needs. Carers too will be affected if they care for a disabled person. Standard allowance – £317.82 per calendar month (pcm), or £73.34 per week. Limited capability for work (only for claims started before 3 April 2017) – £126.11 pcm or £29.10 per week. Limited capability for work and work related activity – £318.76 pcm or £73.56 per week. So in total, people who claimed Universal Credit after April 2017, but were previously getting ESA support group rate (£109.65 per week), EDP and SDP, will be set to lose £41.10 a week – as they currently receive £188 a week versus £146.90 under Universal Credit. This means a loss of £2,137.20 a year. But the DWP claims there is a safety net. If other benefits are received, this may impact on the Universal Credit award. Some benefits are ignored whereas other benefits have a pound for pound impact on the Universal Credit award. Other benefits Universal Credit should not be paid to claimants with enough income available from other sources to support themselves. Exceptions are where payments are received in respect of additional costs which the claimant has, for example disability benefits. Claimants who receive other benefits in addition to Universal Credit are subject to the relevant Universal Credit Labour Market regime based on their relevant Universal Credit legal conditionality group. This means for each £1 received from these benefits, the Universal Credit payment is reduced by £1. Any benefit, allowance or payment from a country outside the United Kingdom could also be taken fully into account, depending on the circumstances. Pension Credit Universal Credit offers a signposting service for State Pension Credit (SPC).Claimants can find further information about SPC on Gov.UK. A benefit unit cannot be in receipt of both Pension Credit and Universal Credit. One of the basic conditions for getting Universal Credit is that a claimant must not be over the qualifying age for SPC. This is called the Upper Age Limit. Joint claim The Upper Age Limit doesn’t apply if the person over State Pension age is in a joint claim and their partner has not reached that age. Both adults are eligible for Universal Credit providing all other conditions of entitlement are met. The person over the SPC qualifying age is exempt from work conditionality and will be placed in the no work related requirements regime. Example: One adult in a couple is 57 and the other is 75. Both are able to claim Universal Credit together as a joint claim in the normal way. Once Universal Credit Full Service is live nationally for all new claims, couples with only one person over the Pension Credit qualifying age will no longer be eligible for Pension Credit. This will ensure that the younger member of the couple has access to support to find work, if appropriate. The person over the SPC qualifying age is exempt from work conditionality and will be placed in the no work related requirements regime. So even some pensioners will be targeted as the above example illustrates. Also targeted are single parents . This combined with the benefit cap now and the family cap (2 child Rule) from 2018, will also face cuts to housing benefits via LHA being reduced with those in private accommodation hit by a new Bedroom Tax and Supported Mortgage Interest being turned into a loan will hit virtually impacting on everyone especially those who are in work too and off sick. The latter will now face 4 wks fit note and then a assessment to determine eligibility to top up benefits to SSP, and subjected to claimant commitment conditions. Those in exceptional circumstances such as Domestic Violence, etc will get the opportunity to ask for alternative payments arrangements so they are not left penniless by abusive partners. Nobody will be deemed exempt it seems, from the vile clutches of this ‘monster’ created by the government and these things need to be urgently addressed and with Brexit around the corner and prices rising already the poorest will most likely be affected the most. There are even two regimes to get people into labour market depending on your given perceived status. one is Light Touch and the other is Intensive regimes. It is impossible to upload all documents which are many, but main ones are listed below as now is the time to plan ahead to help people understand how Universal Credit can affect you and your families understand the system to make sure you can understand what is expected of them. One the many hideous things hidden in the Health and Work Programme is IAPT (CBT therapy) which will become compulsory as well as Troubled Families roll out, and targets to enforce therapy regimes on those who are obese, drink,drugs,smokers. Refusing to take part in this mandatory requirement you will cease to be entitled to Universal Credit.Those considered in debt and financially vulnerable will also be put forward to personal budgeting support advice where they will be judged and no doubt blamed for buying services that the nanny state deem expensive/unnecessary given the amount they have to live on. Health and Work Blog is linked below. This Government has excelled itself in brutality towards claimants of social security,while convincing the populace of the UK that demonising the poorest is the acceptable norm and that they are fair game to be abused and they are not worthy as they are unable to contribute in same way a fit able bodied person , leading to further division. While this is not in depth Blog I have included relevant documents for download and uploaded a powerpoint to help people understand how they will be affected. Anyone needing further advice can use the calculator link below to find out how they will be affected or seek proper advice locally and this blogger would urge people to check how you will be affected to prevent distress and income depravation. UPDATES : More documents have been uploaded including the powerpoints below, Please also check out my blog on Dementia Tax , Cuts that will cut Deep blog also. A Tory MP has dismissed a disabled woman on live television after she told him tens of thousands of disabled and sick people were dying every year due to cuts in health and social care. Conservative MP Dominic Raab responded to an emotional address from Fiona, a disability activist from Aberdeen, in which she said she had known disabled people who and committed suicide, by saying it was “just a childish wish list” if there was not a “strong economy creating the revenue”. During the open debate on the Victoria Derbyshire show, Fiona said disabled people were “fleeing” from England to Scotland where she said the devolved parliament was doing more to protect them. “You’re all talking about numbers and money, and there is an ocean of suffering under that. Oxford University just released research showing that in 2015 in England and Wales alone there were 30,000 excess deaths caused by cuts to health and social care,” she said. “Tens of thousands of disabled and sick people are dying every year. We are dying. There have been hundreds of suicides. I spent hours after the last general election trying to talk people out of killing themselves, and I didn’t always succeed. Fiona cited a study by Napier University that found the work capability assessment causes deterioration in people’s mental health and can lead to thoughts of suicide, adding: “It kills people. It is an act of violence and we are dying. In response to Fiona’s comments, Mr Raab said: “There are plenty of heart-rending stories here, and no one could be anything other than moved by it. We have put in 11,000 more doctors into the NHS, 12,000 more nurses. We have got a renewed focus on mental health and also making sure we’re trying to take the pressure off big hospitals in the manifesto. “But the real truth is the money’s got to come from somewhere, and I can think of lots of things that I would like to avoid making difficult decisions on and lots of areas like the health service or schools that I want to put even more money in, but unless you’ve got a strong economy creating the revenue, it’s just a childish wish list. Fiona responded by saying: “So you choose to sacrifice tens of thousands of disabled people, for the sake of that? This is the sixth richest country in the world. It is a choice that people make. It comes after Theresa May refused to rule out making further cuts to disability benefits in the next Parliament if the Conservatives are returned to government. Asked by The Independent at a campaign event in Mansfield earlier this month whether she would rule out any further cuts to support, the Prime Minister responded: “If you look at what we’ve been doing on disability benefits, what we have done is look at focusing disability benefit payments on those who are most in need. Historically, the United Kingdom’s (UK) welfare state provided a guaranteed financial safety net for those in greatest need, from the Beveridge Report (Beveridge 1942) until recently. However, with people living longer and the cost of the welfare budget rising, in 2006 the New Labour government identified future welfare reforms (DWP 2006) to reduce the growing costs of out-of-work disability benefits. Identified as ‘a political choice and not a financial necessity’ when introduced ‘without any ethical approval’ (McKee 2014), the adoption of additional austerity measures by the Conservative led Coalition government in 2010, which accelerated the welfare reforms, soon created a climate of fear for chronically sick and disabled claimants dependent upon welfare income for financial survival. Subsequently, government imposed benefit sanctions, used to enforce the welfare reforms, would eventually cause death by starvation in C21st UK (Gentleman 2014). The future demolition of the welfare state was first suggested in 1982 by the Conservative Prime Minister, Margaret Thatcher (Travis 2012). Using neoliberal politics, every UK government since that time has covertly worked towards that goal. It is the political thinking used as justification for the welfare reforms of the New Labour government, which introduced the use of the Work Capability Assessment (WCA) for all out-of-work disability benefit claimants (Stewart 2015), and for the extensive welfare reforms and austerity measures introduced by the Coalition government since 2010, and the Conservative government since 2015. In 2008 the out-of-work disability benefit was changed from Incapacity Benefit to the Employment and Support Allowance (ESA), in an attempt by the then New Labour government to limit claimant numbers. Outsourced to the private sector, all claimants of the new ESA would be subjected to the WCA ‘fitness for work’ assessment, as exclusively conducted by Atos Healthcare, with the WCA using the critically flawed (Shakespeare et al 2016) biopsychosocial (BPS) assessment model (Waddell and Aylward 2005), adopted to limit the numbers of successful ESA claimants, as the diagnosis and prognosis of the claimants would be totally disregarded, as first advised by Aylward in 1995 (Aylward and LoCascio 1995: 755). Using the BPS model, the WCA was identified as causing preventable harm to chronically sick and disabled claimants who were not fit to work (Stewart 2011, Jolly 2012, Hale 2014), together with the inevitable harm created by the adoption of additional austerity measures (Pring 2015; Barr et al 2015; Stewart 2016a; Garthwaite 2016; Shakespeare et al 2016; Elward 2016), with all additional research evidence disregarded by the Department for Work and Pensions (DWP), who exclusively cite DWP commissioned research in official reports. Following in Thatcher’s footsteps, in 1992 the John Major Conservative government invited the American corporate giant UnumProvident Insurance to consult, with reference to future welfare claims management. By 1994, the company were appointed as official government advisers and the 1994 Social Security (Incapacity for Work) Act introduced Incapacity Benefit, as designed to limit access to out-ofwork disability benefit (Wikeley 1995), which had significantly increased due to increasing numbers of claims for psychological causes of illness. Prior to joining the Civil Service, Aylward was a GP and also worked in the private sector as Chairman and Managing Director of Simbec Research, from 1974 – 1984, which was a company founded by Aylward (Wales online 2004). Shortly after being appointed as the Principal Medical Adviser for the DSS, Aylward was identified in the national press as having been involved with the creation of a private company identified as Mediprobe, when trading as the Nationwide Medical Examination and Advisory Service Limited, and used by healthcare insurance companies to medically assess insurance claims (Rowe,1998). The company was incorporated in 1994 and dissolved on 20th January, 2015. This clear conflict of interest was disregarded by the DSS, yet Aylward’s significant links with the private healthcare insurance industry questions his objectivity when writing a future government commissioned report regarding the assessment of welfare claimants for disability benefit (Waddell and Aylward, 2005). The 1995 paper (Aylward and LoCascio 1995) expressed concern as to the increases in ‘subjective impairments’, with conditions such as chronic pain and fatigue syndrome listed as the significance of diagnosis was rejected as having ‘a high degree of subjectivity’. This had implications for the welfare budget, and it was suggested that claimants of Incapacity Benefit should have a psychiatric evaluation (Aylward and Lo Cascio 1995:760). The introduction of the biopsychosocial (BPS) model of assessment had been successfully adopted by UnumProvident Insurance in America, to limit payment for healthcare income protection insurance claims (Rutherford 2007, Bach 2012, Stewart 2015), and LoCascio was guiding the DSS as to how to introduce the BPS model into the UK. Quite literally, by disregarding diagnosis, the main emphasis of the BPS assessment would be an excessive concentration on psychological factors. The DSS doctors were trained by LoCascio, and DSS non-medical Adjudicating Officers would make benefit decisions based on activity ‘descriptors’, not medical evidence, as the claimant’s doctors’ opinions were marginalised (Sivier 2013). The former Department for Health and Social Security was split into the Department for Health and the Department for Social Security (DSS) in 1988 and the DSS was then renamed the Department for Work and Pensions (DWP) in June 2001. By November 2001 a conference was assembled at Woodstock, near Oxford, with the conference listed as ‘Malingering and Illness Deception’ (Conference 2001). Many of the conference participants had an association with UnumProvident Insurance, as represented by John LoCascio, and the goal of the Oxford conference was the future demolition of the British welfare state (Stewart 2015). There was a total of 39 participants, including the DWP Chief Medical Officer Mansel Aylward, and Malcolm Wicks, in his capacity as the then DWP Parliamentary Under Secretary of State for the New Labour government. To reduce the numbers eligible for benefit, illness would be redefined and many welfare claimants would be declared fit for work, and incentivised into jobs as entrepreneurs if no paid employment was available (Conference 2001: 290). New Labour was committed to reducing the 2.7 million people claiming Incapacity Benefit and, to do that, a new assessment model would be used. From 1979 to 2005 the numbers of working age claimants of Incapacity Benefit had increased from 0.7m to 2.7m. A total of 21% were recorded as having a mental health problem in 1995 but, by 2005, a total of 39% of claimants had a mental health problem, which was just under 1 million people (Rutherford 2007: 40). Since that time, politicians of all persuasions have prioritised the reduction of Incapacity Benefit claimant numbers by 1 million people. New Labour decided to alter this situation, which had implications for the welfare budget and so ‘…claimants will become customers exercising their free rational choice, government services will be outsourced to the private sector, and the welfare system will become a new source of revenue, profitability and economic growth’ (Rutherford 2007: 41). More DWP commissioned research was to follow to justify future government plans. Dr Mansel Aylward was the DWP Chief Medical Officer until 2005 and accepted his future appointment, as the Director of the new UnumProvident Centre for Psychosocial and Disability Research (the Centre) at Cardiff University in 2004, with no-one other than Professor Malcolm Hooper objecting to this very obvious conflict of interest (Stewart 2015). Commissioned by the DWP, the Scientific and Conceptual Basis of Incapacity Benefits (S/C Basis) was rapidly produced in 2005 by Gordon Waddell and Mansel Aylward (Waddell and Aylward 2005), when both authors were sponsored at the Centre with £1.6 million by UnumProvident Insurance (Cover 2004), who fully expected to gain from the UK welfare reforms, and the planned future reduction of the numbers eligible for State funded welfare support for sickness and disability (Stewart 2015). The S/C Basis DWP commissioned report (Waddell and Aylward 2005) was used as evidence for much of the 2006 Green Paper (Green Paper 2006): A New Deal for Welfare: empowering people to work 2006, which criticised the ‘perverse incentive’ of giving people more money the longer they stayed on benefit (Green Paper 2:13). The Green Paper also claimed that up to one million people could return to work, with further political claims that a million DWP claimants had expressed the wish to do so, which was dismissed as being without foundation in the S/C Basis footnote 16 (Ravetz 2006). The S/C Basis report (Waddell and Aylward 2005) identified Incapacity Benefit which it claimed ‘traps’ people on benefits and, effectively, condemned claimants to a lifetime of dependency. The report acknowledged that: ‘Contrary to some sensational headlines, IB is not out of control… There is no “crisis”…’ (S/C Basis, 4: 75) The emphasis of the DWP commissioned S/C Basis report by Waddell and Aylward (2005) was that the model used to assess Incapacity Benefit claimants was incorrect and, instead of using the medical model, which the report claimed focused on a claimant’s incapacity rather than their ability, the Waddell and Aylward recommended model to be used was the biopsychosocial (BPS) model. Of course, the medical model of assessment also acknowledged medical opinion, so it was time to change to using the BPS model of assessment, which disregards medical opinion in order to limit the possible number of future claimants. This was a replica of the BPS assessment model successfully introduced by UnumProvident Insurance in America to limit access to healthcare insurance claims and to guarantee future profits (Stewart 2015, Bach 2012, Rutherford 2007). Waddell and Aylward’s 2005 report (S/C Basis), which would be used by the New Labour government to justify the introduction of the welfare reforms, was subsequently exposed by Emeritus Professor Alison Ravetz, who identified the DWP commissioned report as being ‘largely self-referential’ (Ravetz 2006). The Waddell and Aylward designed BPS model would eventually be discredited by academic excellence, which exposed the Waddell and Aylward BPS model as having ‘no coherent theory or evidence behind this model ‘and demonstrated ‘a cavalier approach to scientific evidence’ (Shakespeare et al 2016), when referencing ‘Models of Sickness and Disability applied to Common Health Problems’ (Waddell and Aylward 2010). The former city banker, David Freud, was commissioned by the New Labour government in December 2006 to offer recommendations to reduce the welfare budget. Commonly known as ‘the Freud Report’, ‘Reducing Dependency, Increasing Opportunity’ (Freud 2007) was rapidly produced in six weeks, with claims of a potential massive reduction in Incapacity Benefit claimants. By May 2007 Professor Danny Dorling, when writing as the Guest Editor for the Journal of Public Mental Health, exposed the identified flaws in the Freud Report. It seems that Freud had ‘got his numbers wrong’ and had misinterpreted his own references, so there never was going to be the predicted massive fall in claimant numbers (Dorling 2007). The protocol and limitations of being published in an academic journal meant that Dorling’s substantial evidence, which had exposed significant flaws in the Freud Report, would not become public knowledge and the DWP based their future welfare reforms on more totally discredited DWP commissioned research. Enobled, never elected and appointed as the DWP Shadow Minister for Welfare Reform in 2009, in 2010 Freud was appointed as the DWP Parliamentary Under Secretary of State for the Coalition government and was reappointed as the DWP Minister of State for Welfare Reform in May 2015 for the Conservative government. A DWP press release in December 2016 announced Freud’s retirement from his ministerial position (DWP 2016a) and claimed that Freud had been ‘…the architect of welfare reform, which has revolutionised the way benefit claimants interact with the state’. The influence of UnumProvident Insurance with the UK welfare reforms was demonstrated in the supplementary memorandums provided for Work and Pensions Select Committee (WPSC) reports, which clearly listed the transformation of Incapacity Benefit to the new ESA out-of-work disability benefit. The requirement to ‘resist diagnosis’, ‘revise the ‘sick note’, ‘encourage the Government to focus on ability and not disability’, ‘change the name of Incapacity Benefit’ and ‘benefits not to be given on the basis of a certain disability or illness but on capacity assessments’ have all come to pass, as UnumProvident Insurance have influenced UK government welfare policy since 1994 (Stewart 2015). Yet, the fact that UnumProvident Insurance was identified, in 2008, by the American Association of Justice (AAJ, 2008) as the second worst insurance company in America was totally disregarded by the DWP. Gordon Brown succeeded Tony Blair in 2007 as the New Labour leader and Prime Minister and, in 2008, introduced the WCA for the future reassessment of all Incapacity Benefit claimants, and the assessment for all new claimants of its replacement, the ESA. The lucrative WCA contract was outsourced to Atos Origin IT Ltd, identified as an international IT corporate giant with no healthcare experience. To conduct the WCA, a branch of the company identified as Atos Healthcare was formed, and the Lima software used for the WCA computer questionnaire was designed by Atos. Adopted by the Brown government in 2008, following the introduction of New Labour’s 2006 Welfare Reform Bill, the recommendations from the 2001 Malingering and Illness Conference (Conference 2001), the S/C Basis DWP commissioned report (Waddell and Aylward 2005) and the Freud Report (Freud 2007) would greatly reduce the authority and the clinical opinion of GPs, and offer the assessment of claimants who are too sick or profoundly disabled to work to the private sector whose doctors, according to the General Medical Council, ‘have total immunity from all medical regulation’ (Stewart 2015). Based on the BPS model, the removal of the significance of GP opinion opened the door to the introduction of the WCA ‘non-medical’ assessment. This meant that very many genuine ESA claimants were to be refused financial support, and the ‘nonmedical’ BPS assessment of chronically ill people would be conducted by the unaccountable private sector, as recommended by Waddell, Aylward and LoCascio and by former City banker David Freud, when adviser to the New Labour government (Freud 2007). 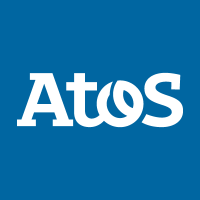 Atos Origin IT Services UK Limited is a French corporate IT and software company, who were contracted by the New Labour government in 2008 to conduct the WCA, at a then cost to the public purse of £500 million per annum (Rutherford 2007). From 2010 Atos Healthcare used the computer based WCA questionnaire to begin to reassess all long-standing Incapacity Benefit claimants being migrated to the ESA. This meant that very many genuine claimants were refused financial support and instructed to apply for the unemployment benefit, Jobseekers Allowance, with severe sanctions and the total loss of income, often for weeks, when too ill to attend an appointment with the Jobcentre (Stewart 2016a). ‘It is discussed how the state and business act in collusion, as both generally share the same neoliberal conviction on how society should function. This partnership is no more evident than within welfare, where the state have established proxy measures to outsource harm production to distance themselves from potential ramifications’ (Elward 2016). In March 2015, Atos Healthcare were replaced by Maximus to conduct the WCA. The American healthcare insurance system of disability denial was used for the design of the WCA (Stewart 2013), and the involvement of Atos Healthcare was used to distance the government from the preventable harm created by the use of the WCA. Identified state crime by proxy was knowingly created by the DWP, as the private sector was introduced on a wide scale in many areas of welfare and social policy (Elward 2016). 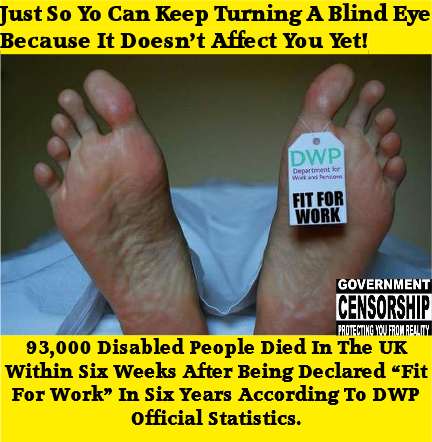 As of February 2014, 92,000 people have died following a WCA, including 2,380 people who died after being found ‘fit for work’ (Butler 2015), as the DWP have again refused to publish the updated ESA mortality totals (DWP 2016b). Zemiology is the study of social harm. Eight years after the introduction of the WCA, when using the totally discredited Waddell and Aylward (2005, 2010) BPS model of assessment (Shakespeare et al 2016), the preventable social harm created by the introduction of the WCA has been identified by independent research (Stewart 2015, Barr et al 2015, Baumberg et al 2015, Shakespeare et al 2016, Garthwaite 2016, Stewart 2016b), which continues to be disregarded by DWP Ministers. Instead, Ministers prefer to reference DWP commissioned policy based reports, or publications from a right-wing think-tank, whose research exclusively references DWP commissioned policy based research and demonstrates that the claimed ‘independent’ research is ideologically motivated (Robertson, 2012). It remains cause for concern that, in keeping with Conservative Party ideology, certain corporate funded academic think-tank research demonstrates the ongoing influence of neoliberal politics in published reports when claiming: ‘…almost three quarters of claimants who have had their assessment are in the support group and subject to no conditionality, with very little support to return to work.’ (Pickles et al 2016: 6). This one statement demonstrates the danger of right-wing think-tanks whose research demonstrates that costs, not need, are the priority of the welfare reforms when presuming that people in the Support Group, allocated because they are considered by the DWP to be too ill to work, yet ‘independent researchers’ continue to suggest that there is a problem because these often very, very ill people haven’t yet made any effort to find work. One more example of the danger of commissioned academics considering cash not care, when totally disregarding diagnosis and prognosis in any welfare setting (Stewart 2016b). What was once the psychological security of the welfare state has been totally destroyed by neoliberal politics, when enthusiastically supported by the national press (Stewart 2017). The market is the dominant force, costs are the only priority, and all evidence of care, concern and compassion has been successfully removed when using academic research that lacks credibility and totally fails scrutiny (Shakespeare et al 2016, Stewart 2016b). By disregarding diagnosis, prognosis and the claimant’s past medical history, when using the Waddell and Aylward (2005) BPS model for the WCA, the constant suggestion by DWP Ministers is that claimants of out-of-work disability benefit are ‘inactive’, so disregarding the vast numbers of chronically ill and disabled people who do work in the voluntary sector whenever well enough. By definition, anyone allocated to the Support Group following a WCA are too ill to work in paid employment. But, the constant political rhetoric insists that not enough people leave the Support Group to find work (Pickles et al 2016). There seems to be no comprehension that working in paid employment is inflexible, whereas working in the voluntary sector means that chronically ill volunteers can work when having a ‘good day’, and rest when too ill to contemplate leaving the house. This is very obvious to anyone whose healthcare trained, and whose priority is the welfare and wellbeing of the chronically ill claimant and not simply the desire to reduce the costs of the welfare budget, regardless of human consequences (Stewart 2016a). There is a strong ideological resistance within the DWP as to the reality of the lives of chronically sick and disabled people. The DWP disregard the fact that many ESA claimants are profoundly ill, and will never recover regardless of intimidation and coercion. Relentless DWP threats of benefit sanctions, using a discredited assessment model (Shakespeare et al 2016) that totally disregards failing health and can oblige claimants to seek Jobseekers Allowance when deemed ‘fit to work’ regardless of diagnosis, prognosis or consultant medical opinion (Stewart 2016b) was always guaranteed to cause preventable harm on a vast scale. When advised by Waddell and Aylward (2005), illness is dismissed by the DWP, as is diagnosis and prognosis, and this problem remains relentless and a constant threat to the wellbeing and the survival of chronically ill claimants. Due to policies demonstrated to have created state crime by proxy when using the private sector to distance the government from the predictable inevitable harm created by the introduction of extreme right-wing policies (Elward 2016, Stewart 2016b), those who were meant to benefit from a welfare state as originally designed to protect them, now live in fear of the DWP, which is causing them guaranteed preventable harm and unnecessary loss of life (Scott-Samuel et al 2014, Gentleman 2014, Pring 2015, Butler 2015, Elward 2016, Stewart 2017). Grateful thanks to Lewis Elward for access to his Masters dissertation and his kind permission to quote from it. This research received no grant from any funding agency in the public, commercial, or not-for-profit sectors. Freud D 2007: Reducing dependency, increasing opportunity: options for the future of welfare to work. Department for Work and Pensions. Gentleman A 2014: Vulnerable man starved to death after benefits were cut. The Guardian 28th February. Pring J 2015: Coroner’s ‘ground-breaking’ verdict: Suicide was ‘triggered’ by ‘fit for work’ test. Disability News Service, 18th September. Ravetz A 2006: Green Paper: A New Deal for Welfare: empowering people to work. An independent assessment of the arguments for proposed Incapacity Benefit reform. The Centre for Disability Studies, the University of Leeds. Shakespeare T, Watson N and Abu Alghaib O 2016: Blaming the victim all over again: Waddell and Aylward’s biopsychosocial (BPS) model of disability. Critical Social Policy, 37, 1, 22-41. Sivier M 2013: Unum, Atos, the DWP and the WCA; who gets the blame for the biopsychosocial saga? Vox Political 18th January. Travis A 2012: Margaret Thatcher’s role in plan to dismantle welfare state revealed. The Guardian, 28th December. Waddell G and Aylward M 2005: The Scientific and Conceptual Basis of Incapacity Benefits. The Stationary Office. Waddell G and Aylward M 2010: Models of Sickness and Disability applied to Common Health Problems. The Royal Society of Medicine.